It’s a week of red flags and success. 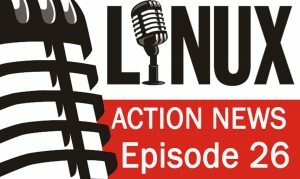 The Plasma Mobile project sets humble goals, Firefox learns new tricks, a TOR flaw for Linux users & Canonical joins the Gnome Advisory Board. Plus a new report claims every Bitcoin transaction uses as much energy as your house in a week & two legal matters that may have long-term impacts on the Linux community. Plasma Mobile Roadmap — Our development strategy is to build a basic system and platform around our core values first and then extend this. Firefox to remove canvas fingerprinting — The Mozilla Foundation is boosting privacy in an upcoming version of its Firefox browser by removing the snooping capability called canvas fingerprinting, a method of tracking users across multiple websites. Tor flaw: TorMoil — TorMoil threatens Mac and Linux versions of Tor browser; Windows and Tails not affected. Canonical joins GNOME Foundation Advisory Board — The GNOME Foundation is pleased to announce that Canonical, creator of the Ubuntu operating system, has joined the GNOME Foundation advisory board. SCO vs. IBM Lives on — As Groklaw records, this case kicked off in 2003. The dispute centres on “Project Monterey” a joint effort by SCO and IBM to build a unified UNIX capable of running on several different microprocessor architectures. SCO — at that time known as the Santa Cruz Operation — sold versions of UNIX and tossed some of its source code into the Project Monterey mix, as did IBM. The parties signed a “joint development agreement” (JDA) to formalise the deal. SFLC files a suit against Conservancy — This trademark action is in its early stages. SFLC filed a petition on September 22. Yesterday, we provided an answer that lists defenses that we plan to use.